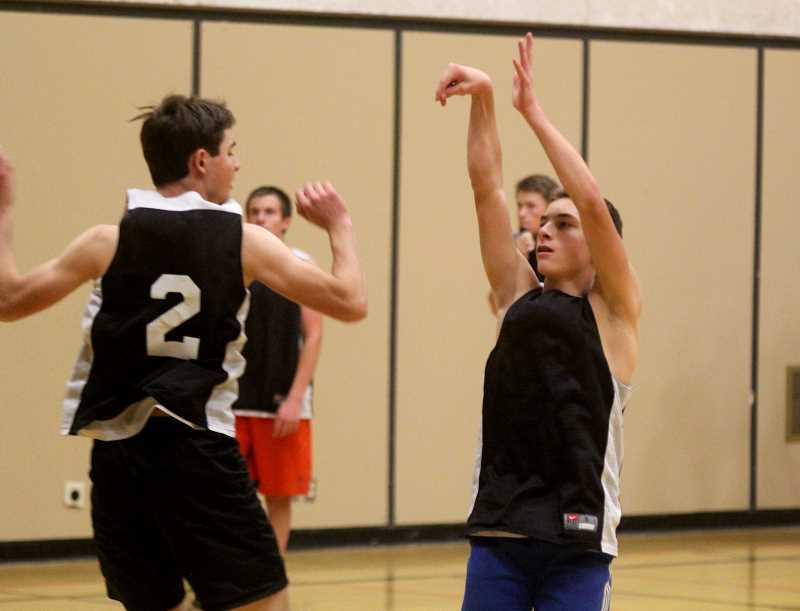 Culver Bulldog boys basketball improving every year; new league, new balanced team. The Culver Bulldog boys basketball program will look to continue their growth in both wins and culture. Culver has improved in the last two seasons from a 1-18 record in the 2016-17 season, to a 5-20 record in the 2017-18 season. The Bulldogs graduated five seniors from their team and most of them played key roles for Culver. They will now look to have a more balanced team this year. "I think a lot of this year is up in the air," head Culver basketball coach Johnny Wilson said. "We have a new league and graduated four out of five starters. There are more opportunities — more opportunity to surprise everyone. I don't think anyone knows what the league result is going to be. It is a big league." "Since we have a lot of new faces, team chemistry is a big thing," he said. "I am not worried about it as far as guys coming in and wanting to be too big. There is some uncertainty about how people will contribute and are unsure what their role will be. We have good kids, hardworking kids, and I think some just need some encouragement." "I think the last couple years, we have developed a reputation as a team that works really hard, but didn't have the necessary basketball skills to win," he said. "That has just been a product of no youth program, no open gyms; there wasn't basketball being played and we are starting to edge past that." "(We have) guys that are becoming gym rats, guys that are growing up playing ball and I think this year, and upcoming years, it will start to shift a little bit," Wilson said. "We have built a culture already; now if we can fill that culture with basketball guys, we will be in great shape." 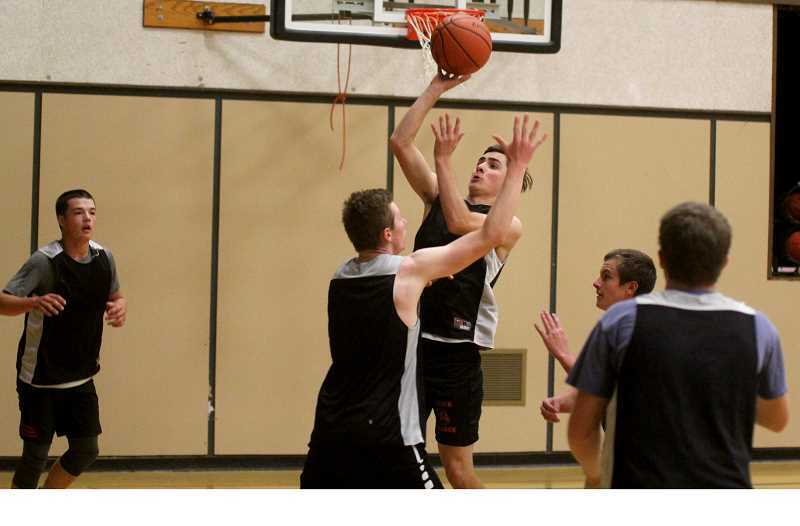 "This year, we are trying to push forward, win more league games, win some home games," said junior Jordan Vanalstyne. "We need to work together. Last year, we weren't a very good team together. This year, we need to play together, play as a team and the winning will take care of itself." The Culver boys basketball program moved to the 2A-2 Tri-River Conference with nine teams in the league. They will play Chemawa, Colton, Delphian, Gervais, Kennedy, Santiam, Sheridan, and Western Christian. "The league is strong at the top, but there a lot of teams, so who knows?" Wilson said. "We are bringing in a new system and a system I am more comfortable coaching. We are going to share it (the basketball). Hopefully, seven to eight guys are chipping in anywhere from seven to 10 points a game and we are going to ride whoever is hot and I think we will be a lot less scoutable than we have been in previous years." "It is wide open and I am excited about a lot of guys," Wilson said. "We should be really balanced, the most balanced we have been since I have been here. I have talked to the kids about that and if you are balanced, it can be tough to guard." The new league and the balanced Bulldogs are optimistic about this season. The opportunities with players having new, bigger roles and seeing fresh teams they have not played before have put a spark in Culver.